The immigrant experience in the United States is not a monolithic one. Much of the political focus for the U.S. has been on immigration reform with a lot of attention on immigrants from Mexico and other countries south of the border; and those from the countries that President Donald Trump has banned. To add to the discussion on the matter, “Immigration is a Black Issue Too” opened the ears of some to the realities black immigrants in the U.S. face. 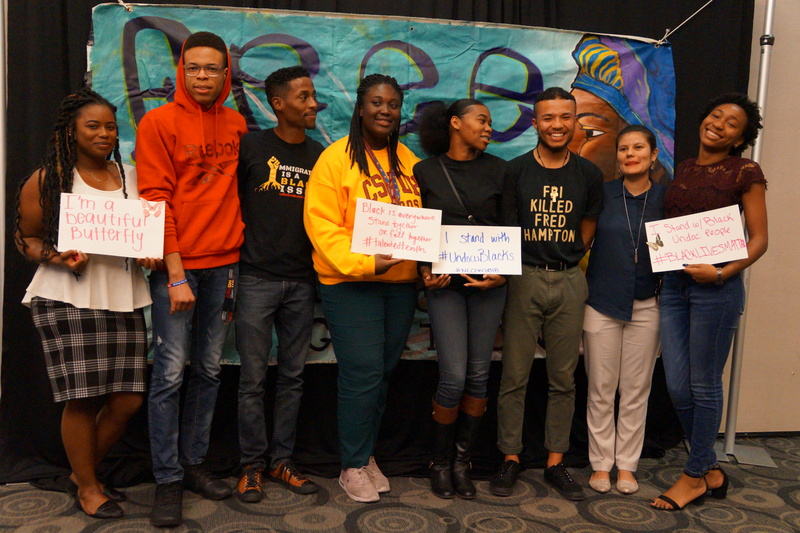 The event, held on Nov. 15, was used to “raise awareness about black immigration” and to discuss “what black solidarity looks like,” said Tianna Townsend, liberal studies major, who led the event. Approximately 42 million “foreign-born” people live in the United States and about 8.7 percent of them are black immigrants and mostly from African and Carribean nations, according to a 2014 report from the American Community Survey. That same report found that about 178,000 black immigrants live in California. That number is rising every year. The event was sponsored by the Toro Dreamers Success Center, the Black Student Union and The Rose Black Resource Center as part of the 3rd Annual National Educators Coming Out Week (NECOW) which took place Nov. 13-16. The week featured a healing circle, CommUNITY mixer, “Dear Immigrant Student” event and ended with a NECOW Photo Campaign. NECOW is specific to CSUDH, however other universities participate in “National Educators Coming Out” Day on Nov. 12. NECOD is a project by the United We Dream Network’s Dream Educational Empowerment Program, which works to makes changes in education to support students. In collaboration with the campus resources, the Black Alliance for Just Immigration (BAJI), a national organization that works to bring about policy and advocacy for immigration justice, was also a supporter of the event. The presentation provided statistics on where black immigrants are from, where many of them live, unemployment rates, etc. According to the presentation, most black immigrants live in major cities in California with Los Angeles, San Diego, and cities in the bay area being the most populated. The presentation also notes that 84 percent of black immigrants in California have some sort of documentation. Mohamed points out that some think if they have documentation that they won’t be deported, however, he finds that it’s the opposite. The presentation also notes that black immigrants are more likely to be detained with one in five immigrants facing deportation based on criminal grounds is black. Other issues black immigrants face involve lack of language access and cultural competence; minimal legal services; and attacks on family sponsored and diversity visas as well as Temporary Protection Status and Deferred Enforced Departure. A panel discussion followed the presentation. The panelist included Black Student Union President and Africana studies major Makonnen Tendaji; Associated Students, Inc. Vice President of Finance and mathematics major Chinaemerem Isika; Mimi, health science major; and Mohamed. Mimi found that her challenges are social with people not understanding the limitations she has because of her status. However, Mimi has been able to rely on her father for support on issues she finds challenging. Tendaji finds that many of his challenges are in trying to talk about black issues that are important to him with his family. Tendaji is Pacific Islander and black, and both sides of his family find it difficult to understand each other’s challenges. Isika tries not to let negatives things bother him. Before the panel was over, the floor was open to the audience in which one person asked what staff and faculty can do to support students who are non-citizens or international students. Mimi had some suggestions. Mimi also recommends that staff and faculty attend training on how to help non-citizen students. As well as being a person who’s an advocate and active in creating safe spaces for them.